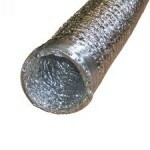 Ducting is used to connect inline fans with items like spigot flanges, Air Carbon scrubbers or other fittings . 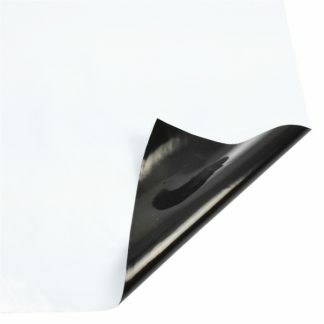 This flexible aluminium Ducting is specifically produced for low and medium pressure heating, cooling, ventilation, exhaust and air conditioning systems. It is produced from multi-layer aluminium, strengthened with high tension hard steel spring wire. It has high elasticity and flexibility. 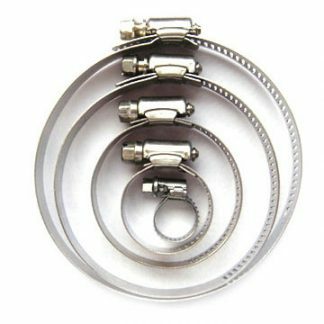 It can be easily fitted to circular, oval or rectangular connectors. Keep in mind: It is ideal to keep your ducting pulled as tight as possible to reduce resistance thus ensuring maximum airflow. The more bends and corners you put in, the more you are reducing the fans capability.